Specifically formulated for use on interior and exterior medium density fibre board. Water based and quick drying, it offers a low odour alternative to traditional solvent based primers. 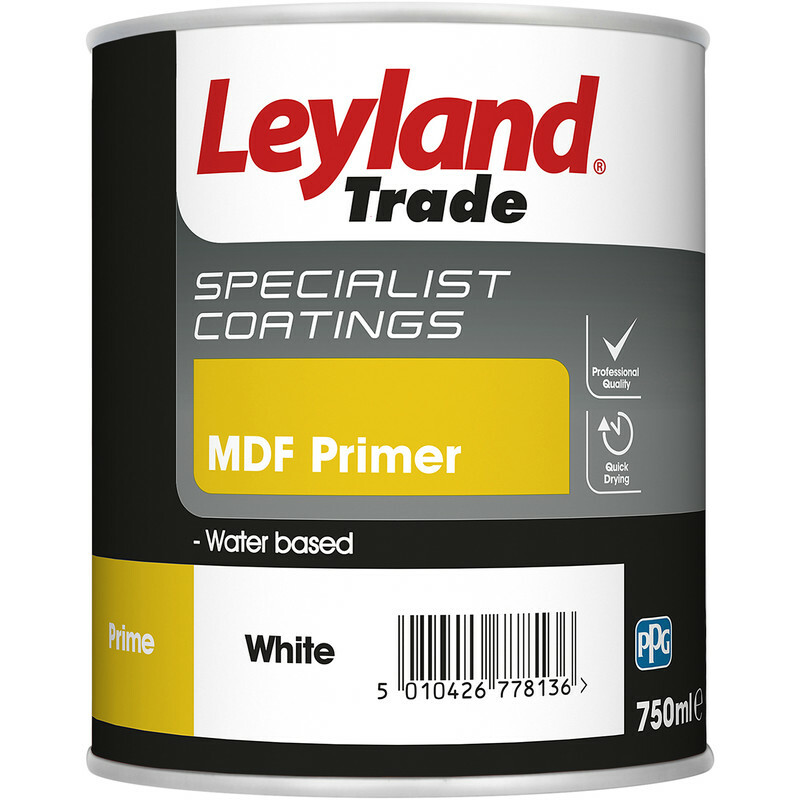 Leyland Trade MDF Primer Paint 750ml is rated 4.6 out of 5 by 5. Rated 4 out of 5 by Benmaxfreja from MDF primer works fine I used this to prime built in wardrobes and cupboards. Paint end grain edges of MDF with brush and sand lightly after 3 hours. I used a roller to prime the face grain surfaces and again sanded very lightly with 240 grit sandpaper. I have previously used Leyland acrylic primer undercoat for this job with similar results. Rated 4 out of 5 by Brian1943 from Covers well Have tried other MDF primer products from TS and this seems to be as good if not better. Rated 5 out of 5 by fox becka from Great paint for mdf board. Very good primer for MDF BOARD.Dries quickly too.+covers fantastic.